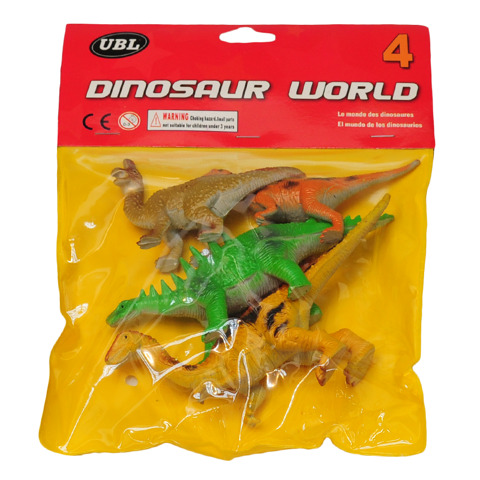 Dinosaur Figurine Set 4Pc. Large are Approx 14-16cm l Small Approx 10-11cm. 2pc Large | 2pc Small Per Pack. Total Assorted - 9pc Small | 9pc Large. Plastic. 249G Packaging: PVC Bag with Header Card.